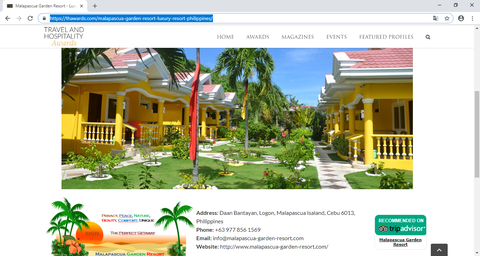 Malapascua Garden Resort is situated on the Malapascua Island, one of the 7641 islands in Philippines. For an island known for its Bounty Beach, coral gardens and some of the best diving spots in the Philippines, this resort provides a perfect retreat, where everything else blends into the background. Malapascua Garden Resort is a family run business which serves vacationers, from all around the world, with the best of Malapascua. You can experience unmatched opulence in their duplex buildings which are surrounded by natural tropical gardens. The resort is located a short walk away from the beach, which ensures that while the guests are always near the beach, they still get the peace and tranquility of nature while resting. You can relax in the MGR-Bistro and enjoy a selection of drinks and beverages in the cozy atmosphere. The resort also assists you with various activities like island walking, boat rides and scuba diving among others. They also provide massage facilities.